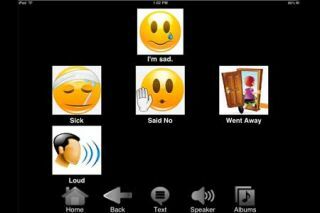 Pros: Simple pictures organized in a drill-down format help kids communicate specific messages. Cons: High entry costs for schools (although there is a 30-day money back guarantee). Bottom Line:Expensive but worthy investment can pay off in helping non-verbal kids learn to communicate thousands of things.